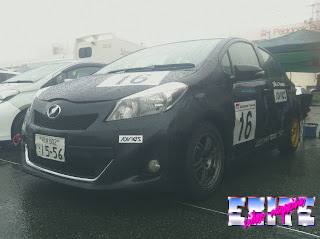 These are just some pictures that I took of some Vitz race cars from the Gazoo Racing Toyota Vitz series. 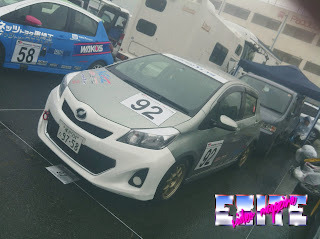 Like the FT-86 race cars, these cars are very limited in the mods that they are allowed to run. For more on the series, the webpage can be found here. It is in Japanese, so English readers will need to use Google Translate. My previous post about the Gazzoo Racing FT-86 race cars can be read here. And below is a video with both the Vitz Race Cars and the FT-86 race cars.